Statistical cluster analysis is an Exploratory Data Analysis Technique which groups heterogeneous objects (M.D.) into homogeneous groups. We will learn the basics of cluster analysis with mathematical way. In HCA, the observation vector(cases) are grouped together on the basis of their mutual distance. An HCA is usually visualised through a hierarchical tree called dendrogram tree. This hierarchical tree is a nested set of partitions represented by a tree diagram. If 2 groups are chosen from different partitions then either the groups are disjoint or 1 group is totally contained within the other. A numerical value is associated with each partition of the tree where branches join together. This value is a measure of distance or dissimilarity between two merged clusters. Begin with clusters, each containing single cases. At each stage merge the 2 most similar group to form a new cluster, thus reducing the number of the cluster by n.
The divisive method operates by the successive splitting of groups. Search the distance matrix (D) for nearest (most similar) pair of objects. Let the distance between the most similar cluster say (U&V) be denoted by d[u×v]. Adding a row & a column giving the distances between the newly formed cluster (U, V) and the remaining cluster. 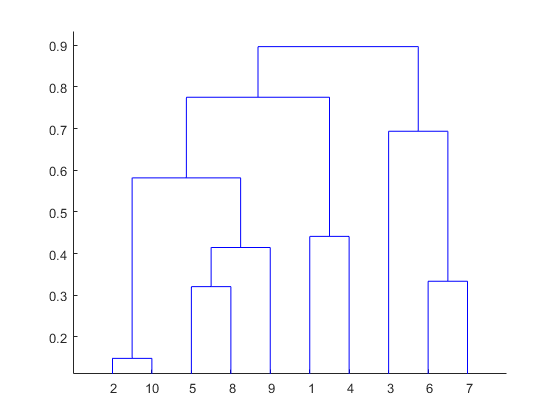 Structure the dendrogram tree from the information on mergers and merger levels. Median linkage: Distance between the median of two clusters. I am a Data Science practitioner with an extensive experience in solving issues using analytical approaches across different domains and passionate about helping those interested in Data Science. Most importantly, I am obsessed with the idea of Collaborative Learning and strongly believe in “Learning is the eye of the mind”. Feel free to contact me at sajid@stepupanalytics.com. I am always looking forward to Scale Up your Skills through the quality content of my blogs/articles.